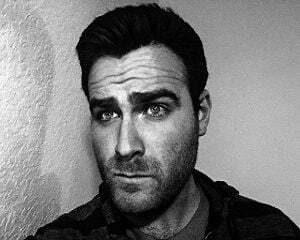 Chris Carter may seem like the only Souls guy around here, but there are more of us lurking in the shadows, wishing we could review them too. 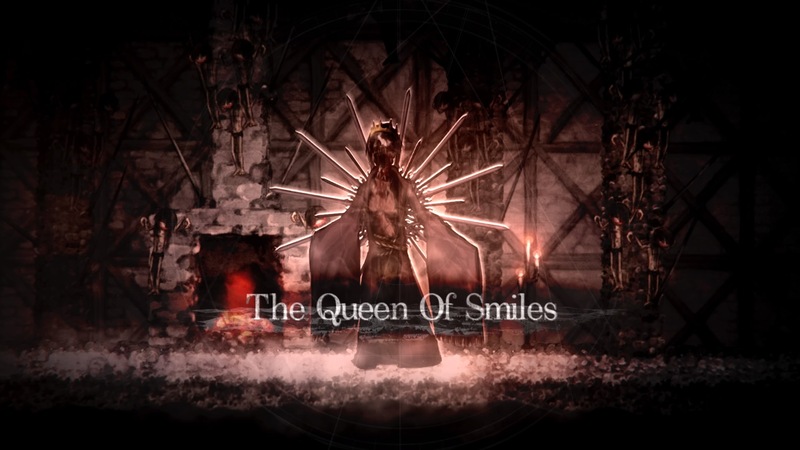 When I saw that Ska Studios of Dishwasher fame was making its own 2D take on the Souls formula called Salt and Sanctuary, I mischievously grinned to myself and began patiently waiting. I selfishly figured it would be my best chance at getting to review this type of game without the ability to ruin the experience by impulsively Googling where to go next, or what the best character build was. Salt and Sanctuary was exactly what I was hoping for, but From Software might be casting them a few dirty glares in the near future. After choosing a starting class, it all begins on a boat. I chose Hunter, as it's equipped with a whip and flintlock pistol allowing me to act out my Bloodborne fantasies. The ship was attacked, and after fighting some lowly bandits, I faced a Cthulhu-esque nightmare beast called the Unspeakable Deep that killed me in one hit. I awoke on a shore, confused and alone. A nearby old hermit called me a Saltborn and told me to seek sanctuary. Does this setup sound at all familiar? It didn't take long to find my first bonfire sanctuary, where I created a shrine for my chosen religious order. These little hubs differ from Souls games in that they're customizable. Character progression is possible at any of them, but items are required to establish certain NPCs such as blacksmiths, merchants, or fast travel-enabling guides. These items aren't rare, but having to think about what you want at each safe haven is a nice addition to the formula. Occasionally I found an already-established shrine dedicated to a God that I did not call mine own, and smashed it with frothing zealotry. This was my island, and anyone who lived here would worship the Three, my chosen divinity. Other denizens of the island included drowned peasants, deep-water demons called Kraekens, and all sorts of other nasties. Slaying these salty monsters is a tactile affair that lays somewhere between Dark Souls and Castlevania: Symphony of the Night. 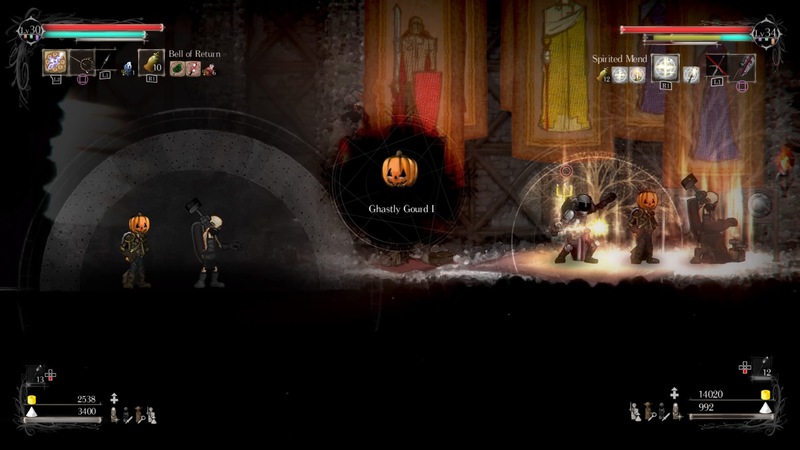 While the former game is partially known for its deliberate combat and punishing enemies, Salt and Sanctuary takes that difficulty and adds the punchiness of the latter. Some weapons have combos, and there's a satisfying block and parry system. There's also a fair amount of platforming with a few unlockable traversal moves sprinkled in. 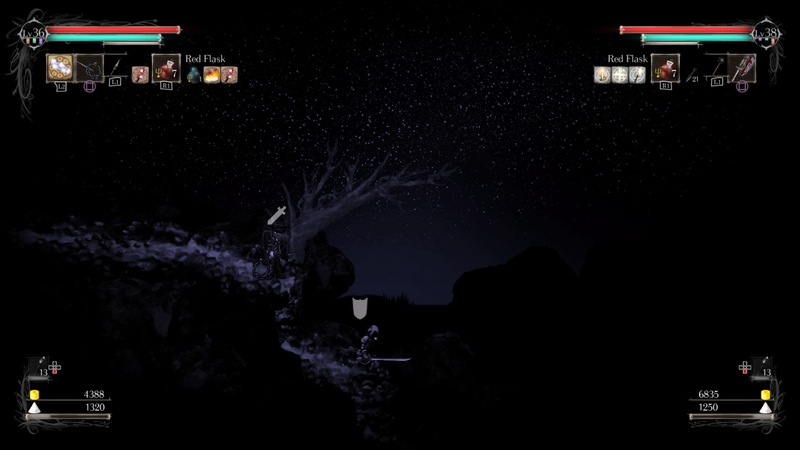 I kept returning to old areas to see if I could reach that shining item that was out of reach before. In yet another homage to From Software, souls salt is dropped upon death. It can be reclaimed if you can manage to defeat the enemy who bested you. Ethereal Saltbats will come to claim your salt if you fall to your death, and destroying them to regain your lost currency is cathartic. Don't get between me and my salt, stupid bat. Character progression is done via a large, spindly skill tree. Starting classes change where you begin on this tree, but they don't lock you into anything. With each level gained, a skill point is gained that can be allocated wherever you like. Stats like Endurance and Willpower can be powered up, but there are also nodes that need to be filled before certain items can be worn. I decided to work my way towards Level 5 Whips so that I could quench my Belmont fetish. There's a large number of upgradeable weapons and armor to customize your personal playstyle. At any time you can swap between two sets of weapons, which allowed me to be flexible. I found myself intrigued by the prospect of adding magic to my arsenal. I could have gone with prayers for healing spells and holy damage, but magic's use of fire and lightning seemed more effective. However, using too much of one of those causes an elemental imbalance, so spamming spells actually begin to hurt you. If you alternate or are just patient, it's much more effective. 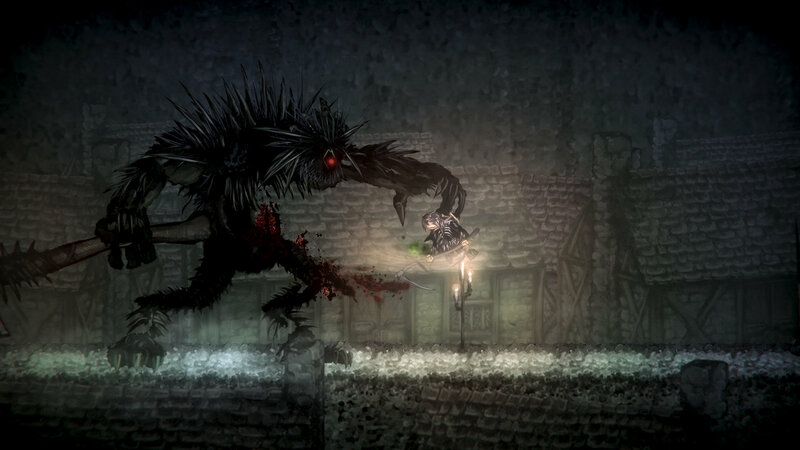 Salt and Sanctuary can be played entirely in co-op. My brother and I played the majority of the game this way, and it was pleasant not having to deal with summoning each other before every fight. After using an item called a Stone Sellsword at a sanctuary, a second player can choose from a character (as long as you already have another one created on your console). There's no online co-op, but sitting and playing with a friend makes the game much more fun. Sure, some of the suffocatingly lonely atmosphere is lost, but since this already has a more arcadey feel, having a second player felt great. Some of the screen-filling bosses were tougher, but we could make up for the weakness in each other's character builds. It works almost too well. Instead of getting locked into place when one player is screwing around with their inventory, the other player can continue on and the former will teleport to the active player as soon as they leave the menu. While this is incredibly convenient, it's also easy to take advantage of when you get to some of the trickier platforming segments. About to fall to your death? Teleport! As long as you have the self-discipline not to do this, it's more of a blessing than anything. Having a buddy also helps to remember where areas are, as the lack of map and decent signposting sometimes makes it difficult to remember where to go next. Ska Studios managed to make the whole thing look beautiful too while retaining their signature hand-drawn look. The environments and monster design is especially great, though humans are a little difficult to adjust to. They have skinny little bodies and Ninja Turtle-lookin' heads, so I was glad to put a helmet on and never look at my silly little face again. It's definitely a stylistic choice, and Ska mostly knocks art direction out of the park. 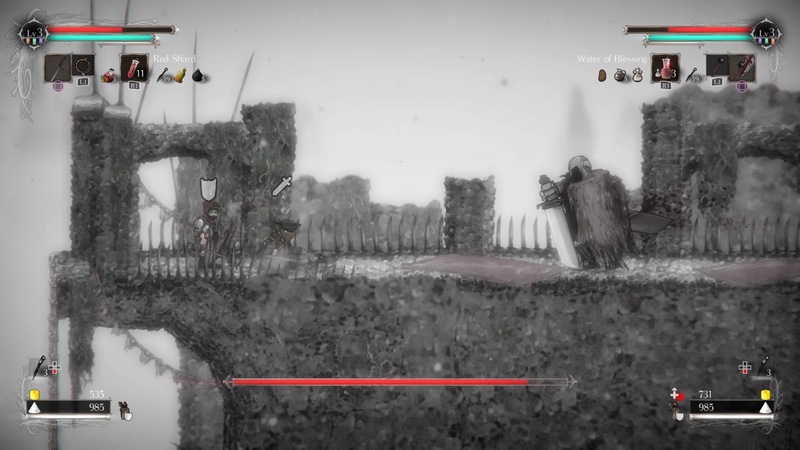 However, there are a few times when it goes beyond homage to Dark Souls and begins to seem like copyright infringement. An area called Siam Lake has a turquoise color palette and features gargantuan trees that you can't see the top of. Sort of like, y'know, Ash Lake. Every so often it just feels little too close for comfort. And it's not just in the art direction, either. I met a few NPCs along the way who never quite gave me quests per se but would ask for an item, or tell me more about the world I was trapped in. I'd meet them every few hours to check in on their quests, and their progression through the environments seemed to match mine. I know From Software doesn't have a patent on this type of quest, but my reactions eventually went from "Oh! Just like in Souls!" to "Oh...Just like in...Souls..." This isn't necessarily bad, seeing as how I love those games, but it does feel derivative at times. It's difficult to be disappointed by a great studio taking solid mechanics and narrative beats from one of the best studios around, especially when the result is something as well-crafted as Salt and Sanctuary. While I do wish Ska Studio's latest had more of its own identity, I can't deny that I enjoyed every minute of it. I already spent about 25 hours with it, and I'm salivating, eager to go through New Game +. Now be proud that I didn't make a "salty" joke like every other outlet will in their review.